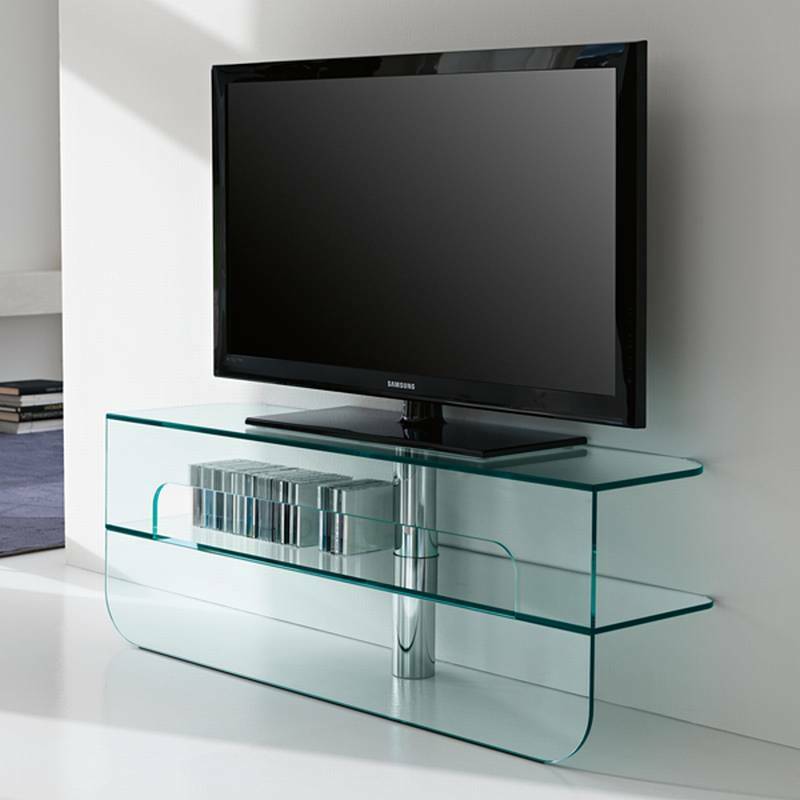 Description TV unit made from 10/12mm thick glass. Central cable holder tube is chrome-plated. Available with a transparent or smoked glass lower shelf.